Emily has clinic tomorrow for a count check, urine check and for the doctor to get a visual from the information that we have let them know. 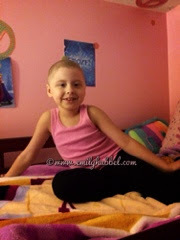 Emily is doing well, but we still have complaints of some pain or dizziness and/or headaches. With travel coming up our anxiety of scans is pretty high! We really want stable or better and will continue to hope for that but that fear that lives inside of us is so hard to explain. Please continue to keep Emily in your thoughts! We head out Monday the 18th to travel half way and then drive the rest of the way on Tuesday to Grand Rapids. Scans are scheduled Wednesday through Friday with a Hearing test scheduled in there. We also know that has to have gotten worse. We don't have a plan of action for next steps should things be different but know we have to keep it in the back of our heads. We are able to pick up mail through Saturday the 16th to pick them up. 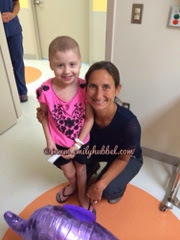 Thank you for continuing to keep Emily in your thoughts, and for continuing with us on this long journey!